The toolbox has been developed as a follow-up of the successful Venice Conference on the role of the EU Social Dialogue in the implementation of the Single European Sky. 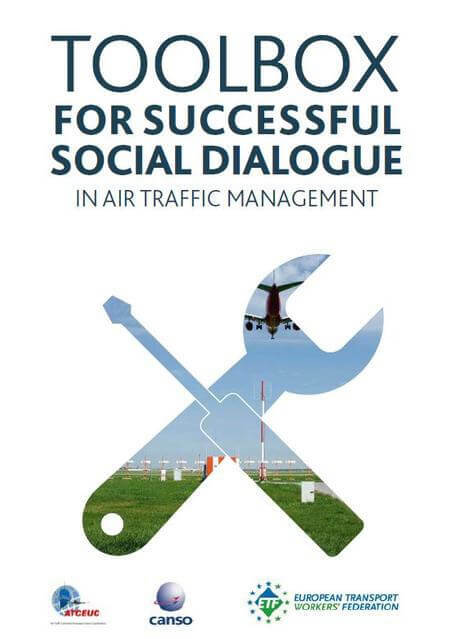 In the framework of an EU co-financed project, the Social Partners conducted an extensive survey addressed both to Trade Unions and Air Navigations Service Providers to identify and collect a list of best practices that facilitate an effective social dialogue. Based on the input provided by the respondents and subsequent discussions, a set of tools has been developed. The Social Partners committed to promote the toolbox at statutory meetings of their associations, vis-à-vis their affiliated organisations, as well as towards the European Commission and the Parliament.